Are you a fue player who would like to add a fun, festive piece into your repertoire? Then this workshop is for you! 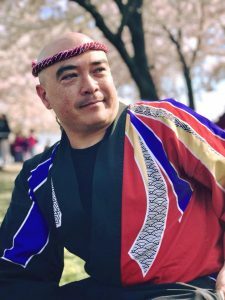 Join guest instructor Lisa Shiota to learn the fue melody that is an integral part of “Shin-En.” We guarantee that once you hear the piece with the fue part, the song just won’t be the same without it! The first half hour of this workshop will introduce you to the melody. (We’ll send participants the sheet music in advance of the workshop so you can start learning it beforehand.) Once you’ve learned the basics, we’ll invite the drummers back to join us so we can all practice the song together. Please note that this is NOT an “intro to fue” workshop – participants should have some prior fue experience. Please bring your own #8 fue to the workshop (though we might have a couple of emergency fue available in a pinch – let us know if you need one). FYI: most of this piece is in the 2nd octave! 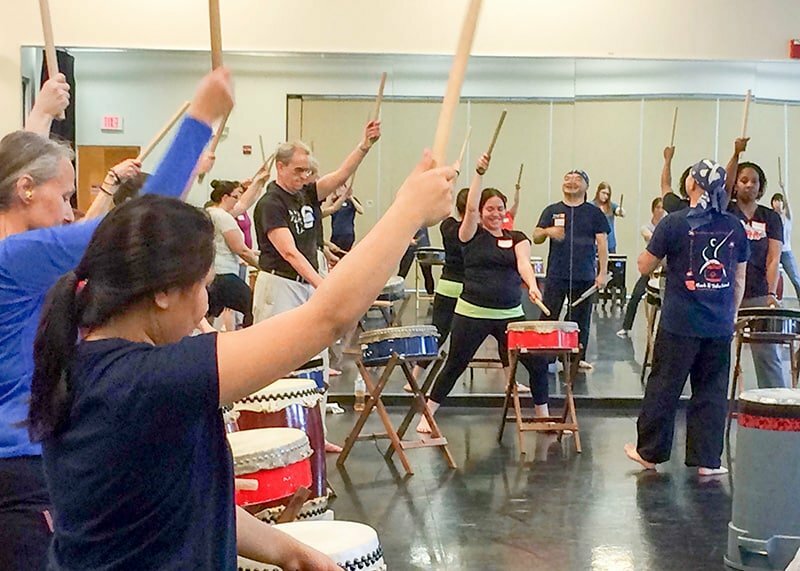 Lisa is one of the founding members of Miyako Taiko and performs on shinobue (fue) for the group. She has also played in solo recitals. Lisa has studied shinobue with Kaoru Watanabe and has taken workshops with Marco Lienhard and Shogo Yoshii. 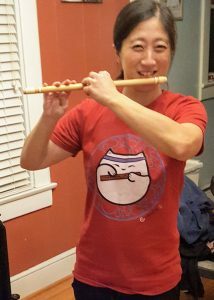 Prior to playing taiko, she had taught private lessons on woodwind instruments for over ten years. Lisa plays on Rippei shinobue. This is one of FOUR awesome workshops happening this weekend at the University of Maryland! 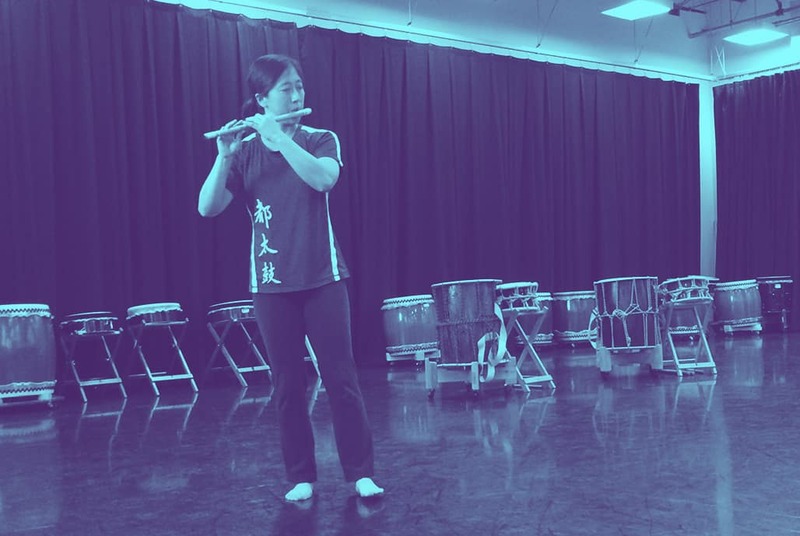 You can also join us for the Shin-En 101 Workshop (Saturday, 5 January from 2 – 4:30pm); the Advanced Shin-En Workshop (Sunday, 6 January from 10am – 1pm); and the Bachi Maneuvers Workshop (Sunday, 6 January from 2 – 5pm). 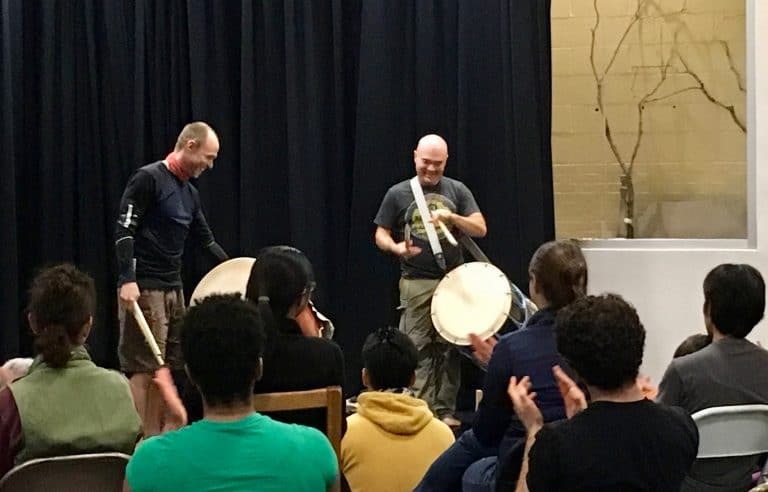 We’ll also schedule some fun social time on Saturday evening so those coming in from out of town can enjoy a little extra camaraderie with their fellow taiko drummers. What a great way to celebrate the new year!